I found this particularly interesting as I’ve been complaining for the past year how useless Google and Yahoo News has become in actually finding anything useful in my work and research. To the point where I have built my own bookmark library of USEFUL and reliable websites and avoid Google and Yahoo unless I’m on a fishing trip. Maybe this is what happens when you get inherently anti-social tech and math geeks inventing “social” media. Not everything can be quantified or fit a mathematical model. Especially human behavior and social evolution. Check out this clip from Eli Pariser’s TED lecture. For now my friend’s daughter is still The Pink Swan. 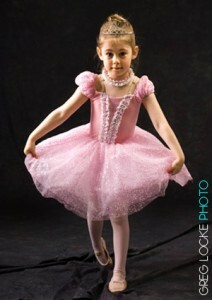 She was very proud of her ballet outfits and pictures were in-order for the far-flung relatives. Speaking of far-flung and as this blog space is still operational, I would like to thank the 77 THOUSAND people (human and web bots) who visited my blog this month. It’s a record for any of my sites. I will miss you all when we switch over to our new cyber real estate sometime this summer. Google doesn’t like change or change of addresses and stops sending people around for a while. Just spite I guess. Most of the traffic on this blog does, indeed, come via Google search and particularly searching for photos. Stephen Harper, Terra Nova oil and a wheat farmer from Weyburn, Sask. are the most popular. …go figure. Some smart web/ISP people once told me that 1000 hits a day is very good for small local or regional blog so I was pretty happy when I hit that mark on a regular basis. So, when numbers started to climb above that, doing 2000 hits a day, last fall I was surprised. After all its just a business blog really. I’ve never really paid slavish attention to it but now that this site is getting over 3000 per day its just bizarre. Sadly, it will all end soon as we change up servers. I don’t really mind. Contrary to what some of my IT, journalism and blogger friends say I don’t believe everything posted to the Internet is sacred and has to exist forever. In fact, I am finding “everything” is actually making search engines fairly useless for finding current info. I’ve deleted everything from blogs and websites before and started over. The world didn’t end, Google didn’t send the black helos and within a year they had forgiven me and was sending traffic my way again. Who would have thought the Two Ronnies would be the ones to make the best tech humour. JEEEEZ!!! What a game!. Game 4 of the Herder on Saturday night went to double overtime with the Clarenville Caribous finally scoring 45 seconds into the second overtime period to beat the Conception Bay CeeBee Stars 4 – 3. Clarenville now leads the series 3 games to 1 and can take the series in Game 5 Sunday afternoon at Mile One Centre in St. John's. These teams are so closely matched and the caliber of play is so high it's still 50/50 odds. Speaking of quality of play …I have covered NHL, AHL and OHL hockey and these guys make the AHL look like the old granny's league! The other big success story of the herder is The Sportspage.ca which streams the games live on the Internet (click the webcasts tab on their page) and getting viewers that TV broadcasters would love. It has viewers from around the world. The interest in the Herder is unbelievable. Over at the NL Press website the traffic numbers are doubled and HERDER is the number one search term over the past week. More than twice that of news of the the budget or the doctors contract news. Even traffic on this blog has tripled because of a couple of photos from the game. If you are an advertiser you want to be with a media that is covering the Herder in a substantial way. goal crease during game three of the Herder memorial Trophy in the Newfoundland senior hockey championships Friday night at Mile One Stadium. Coverage at www.nlpress.ca and watch it live on the Internet at www.thesportspage.ca. YEAH!! …It's a Sound Symposium year and the organizers have released the first look at their lineup of artists for the coming event July 2 – 10 in St. John's Newfoundland. Check out their new website for updates. This is a stunning 10 day event that brings the highest caliber international artists to city for concerts, workshops, exhibitions and collaborative experience. What makes this unlike other festivals is that the general public are invited to participate, meet and interact with the visiting artists. It's far beyond the usual “festivals” which are little more than a series of stage performances. So, this year book your dates and BE A PART of the festival. Discover the world of sound. I've been doing it since 1990! Through Stray Light Pictures and in collaboration with media and technology partners, NL Press and Fusix, we're proud to have contributed to the visual aspects of the new website and designed the user interface. A few events collided this week to make me finally get around to a time sucking chore I have been trying to ignore like a cheque presentation news conference. It's winter, my traditional time to clean up the previous years work, do a final edit and get the the stuff archived and indexed, and I am surrounded by boxes of old slides and negatives …that stuff we used to make photos on before these new fangled digital thingies. Also, someone pointed out I have been doing photojournalism and documentary photography in Newfoundland and internationally for 30 years now and suggested that, just maybe, I should be assembling a retrospective exhibition. So, the task has begun. The scanning of more than 30 years of 35mm slides, negatives and prints where the original negs have been lost. Indeed, a darkroom fire in 1986 destroyed a lot of personal work from the late 1970's through 1982. Thankfully, the valuable stuff was on file with the agencies I worked with. …that reminds me, I need to do my offsite backup of my digital files. I can't remember not having a camera so I can't say when I first started making photos, certainly my pre-teen years and I was the geek who worked on school yearbooks in Jr. High and high school. The camera was another tool in some obsessive need to document the people around me, their culture and tell their stories. I eventually got evolved with the student newspaper, The Muse, (now online but then hot wax halftones and paste up) at Memorial University. While at university I turned “Pro” doing piece work for United Press International (UPI), The Newfoundland Herald, The Evening Telegram and anyone willing to pay …fun yes, but always a business first. With the late 80's financial problems of UPI and the closure of its Canadian offices this team would be picked up by Reuters when they built their international news picture division. It's just a coincidence that this photo of Pope John Paul II came out of the box first. As stuff gets scanned I'll add it to the 30 Years of Photojournalism folder over there in the left side column. It won't be in any particular order, just my favourites as they come out of the boxes and binders. ….maybe my favourite photo of Frank Moores will be next. …hmmm, I wonder if I can train my 9 year old to run the scanners? I worked pretty exclusively with 35mm slide film. Fujichrome 100, 400, Ektachrome 64 and Kodachrome 25, 64, 200, for magazine work. The early days of the wire services it was Kodak Tri-X and Ilford HP5. In the mid 1980's colour neg was the standard for newspapers and wire services. It's sad that the young photographers today never got to use and know these films and their different characteristics. The decision of which film to use on a magazine assignment was a critial decision and could decide the tone and feel of the final published work. For this project we'll be using a Canon film scanner and an Agfa flatbed scanner for fine work. For bulk scanning we have welding some old and new technologies. We will be coupling a Nikon D2x to an old school Bessler slide duplicator!! Camera RAW files will be processed with Adobe Raw. Processing software will be Adobe Photoshop PS3 with Bridge handling the IPTC, captioning and archiving. A bunch of plug-ins, utilities and scripts/actions to speed up the agonizing process, yet ensure best quality. So, let's begin with a Pope! month since we’ve posted anything. Hope you weren’t holding your breath! together …it seems the options and projects wish lists are endless these days. good chance you don’t have the other. marine history the loss of lives at sea is felt through the entire population. will have the same front page images. we are lucky, they are one and the same. industries that were once the backbone of the local economy. Brad and Courtney’s wedding in Grey River on the south coast of Newfoundland. …thanks guys! There are just too many photos to consider when you are shooting with such great people and clients on an almost daily basis.. Just go check out our galleries here and at NL PRESS. Thanks to all our friends, fans, clients and colleagues who made 2009 a great year for us. too much room. ….and 2010 is a SOUND SYMPOSIUM YEAR!! YIPPEE! like to spend it on a great documentary or multi-media project do check in! Aaron Johnson's What The Duck has a great new website. A must read for anyone in the photography business be it news, wedding, portraits or commercial. As mentioned in an earlier post, I had the pleasure of doing a series of casual portraits at the Association For New Canadians. They, along with more of my photos from around the St. John's area, were used in a video produced by Mark Smith at Lingo Creative to promote the association's new website that matches up employers and potential employees from among the many diverse and skilled immigrants who are new Canadians in Newfoundland and Labrador. If you have a job opening you should check out www.axiscareers.net. Look for a story on this project at NLPress.ca …and here is the video! !